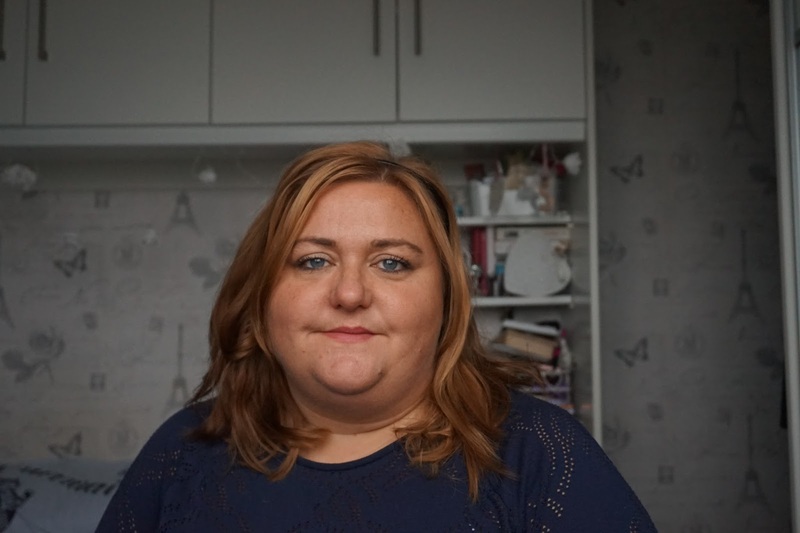 In the middle of May I watched +Leah XL Channel You Tube video, which was an update of her 10 Pan challenge. She did mention that from June she was going to start a new challenge and that is the 8 Pan Challege 8 before Bonfire night. The general idea behind the Pan challenges are to use up items before buying more of the same types of products. I guess it's your choice what products you pick and I'm guessing a lot of people pick things they don't often reach for but do like. We all know I'm trying to mix up my make up on a weekly / fortnightly basis but there have been some constants that I keep in or have been using every other week. Leah gave the tip to select products you like to give you half a chance of finishing them. I'll be doing a monthly update on how I'm getting on with the 8½ products I've chosen and we'll see if I manage to finish any of them. 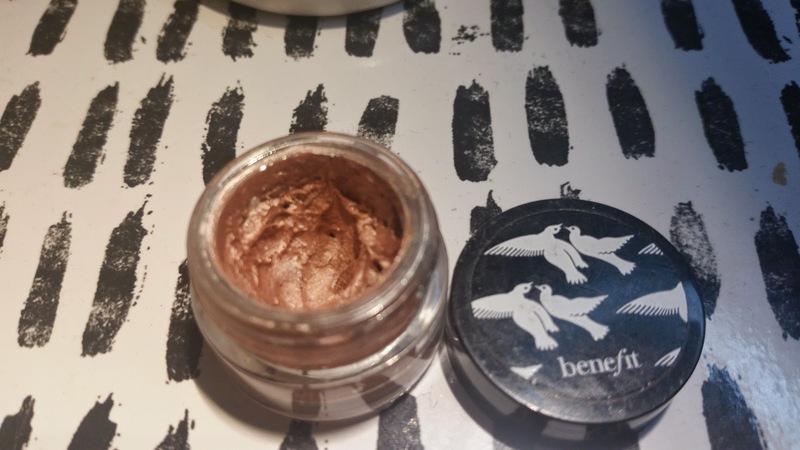 1) Benefit RSVP Ceaseless Eyeshadow - This product is really old. I'm guessing about 4 years and I know I should have chucked it out by now but it's something I use on and off and doesn't seem to have changed much in that time. I got this is a duty free set and I think it's the only part of the set I've kept. 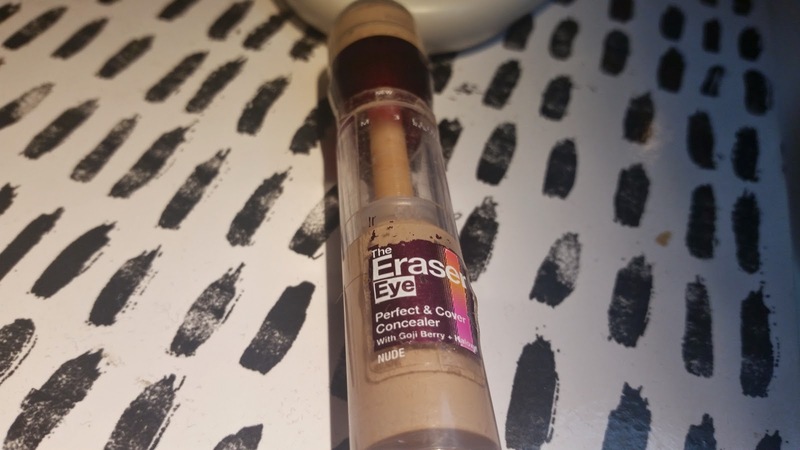 I use this as a base before putting on shadow and I think it really does help. It might look a bit odd in the pot as I stirred it up to give it a new lease of life. I'm wanting to use this up to justify buying some Maybelline Colour Tattoos. 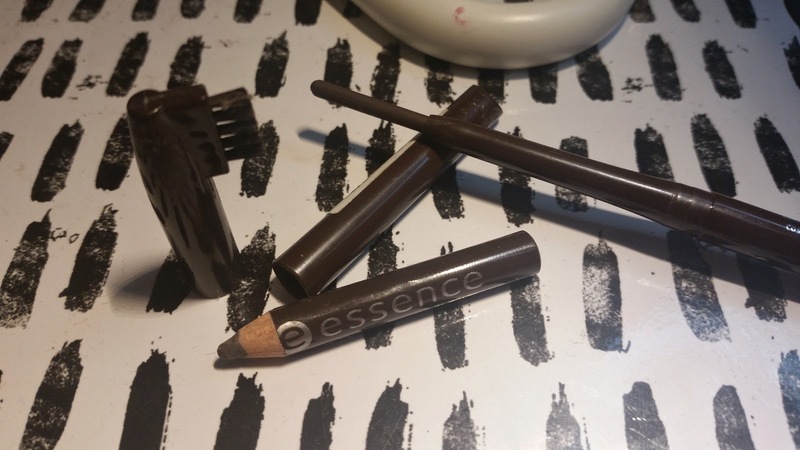 I've been really loving both of these and the eye brow pencil has almost come to the end of it's life but I'm not ready to part with it yet but It can't have much longer left which it's why it's my ha;f a product. I'm not planning to replace either of these yet as I have lots of eye liners and brow products but I would repurchase both of these. I'm confident I can use both of these up by November. 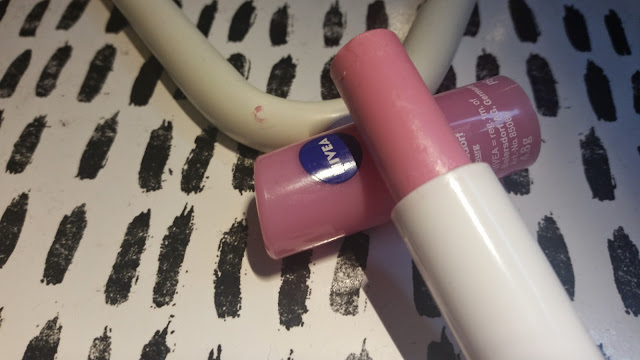 I got this from a beauty box swap I did at Christmas and it is a really lovely lip balm, it smells just like the Swizzles candy lipsticks. Again I'm not looking to replace this as I have at least 8 other lip balms on the go. 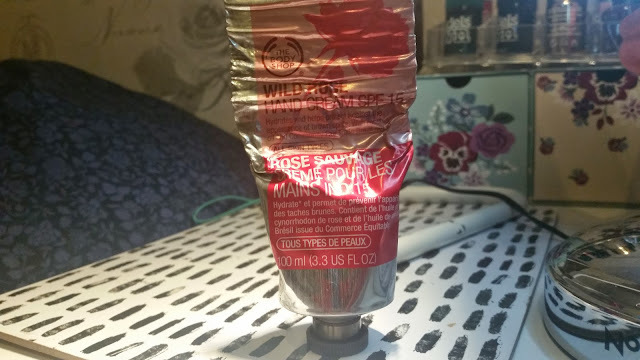 I have only ever finished one lip balm that I can remember. I lose them or buy another new one but I'd like to challenge myself to keep hold and use up another one. Why do I want to use it up? The honest reason is a sense of achievement. I buy too much, I chop and change a lot and I waste products because I buy them and just look at them rather than using them. I like that it is easy to measure how much is left and it's been a constant in my make up bag since I bought it. 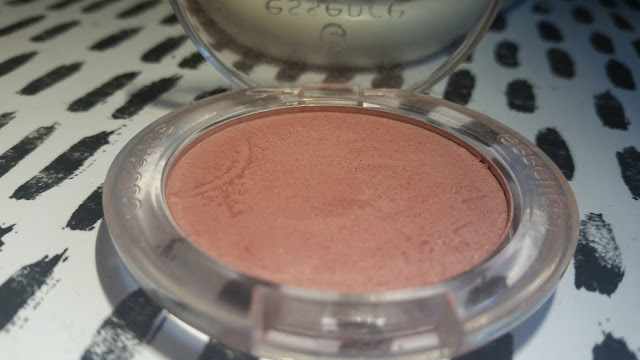 Confession time, I'm scared of blusher, I rarely wear it an every day make up item and it's always the products that gets left out from my make up application. I do wear it when I'm getting ready for a night out and always like how I look when I wear it so It's my mission to use this more. I have low expectations for myself and I don't expect to see the pan on this but I would like to get rid of the imprinted pattern by November. Any more that that will be a bonus. I've chosen this one as it has a little bit of shimmer without being a full on highlighter shimmer but I don't feel like I'd want to use a highlighter as well. I also think it will work well from now until November. It gives just a little touch of natural looking colour. This is the only one of two products I've picked that I don't love. I don't hate it and I like how it makes my skin feel but I hate the smell of it and I will be glad to use it up. I have no plans to replace it, I'm sure I can shop my stash if other products to find another face wash. I can't tell exactly how much is in this but from shaking it it's about half full. I've tried shining a light through the tube but its solid. 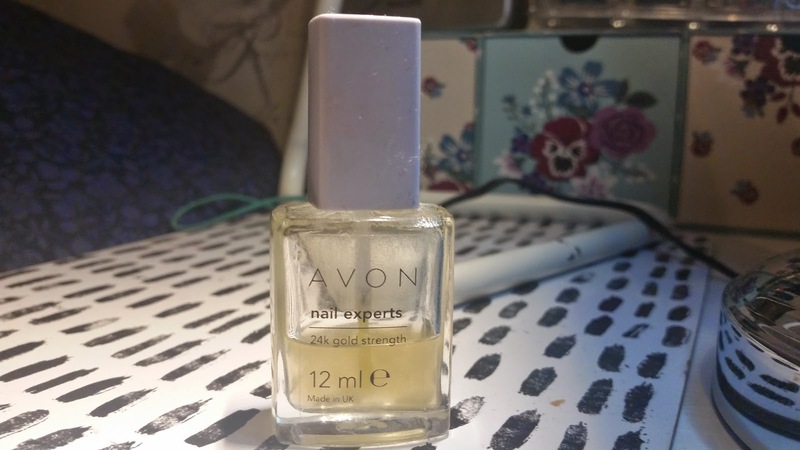 I would consider this my holy grail nail product and I've been using it for years. It's the only thing that helps my nails to grow. Again i'd replace this with itself once I've use used it and it's another product I want finish because I've never completely used up a nail polish before. I also want to start growing my nails again. I bite my nails every time they get a bit of length to them and hopefully using this under some of my pretty polishes will stop me from biting them. My final product is my least favourite of them all. It has some really nice points but for me the negatives out weight the good points. 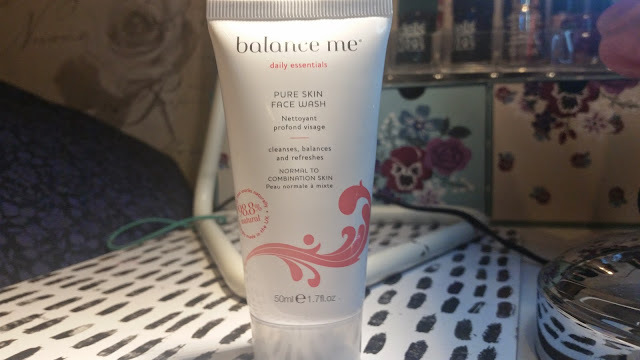 This product leaves my hands feeling tacky and powdery and that feeling lasts a while and I feel annoyed by it every time I use it. I think this is down to the SPF as it does feel quite chalky. The positives are it has SPF in it, I also really like the scent. I don't normally like rose scents but this smells amazing. It is a really rich cream and once the powdery feeling has gone my hands feel amazing. It also works really well on my extremely dry elbows. I'm not looking for a replacement after this is finished as I have a huge stock of hand creams. My intention was to have this as my only work hand cream but two others have wormed their way on to my desk and this has been hidden in the drawer. I have measured this as well I've rolled it down to try and squeeze as much product in to the bottom and the bottom bit measured 55mm. I'm excited to see how long it takes me to get through these items, I'm already mentally planning what products I could use in another Pan challenge. I purposely didn't pick a foundation or powder mainly because I have lots of both and I'm trying to mix and match and I feel like my colour changes on a weekly basis. I have a holiday in a few weeks and I know I will have to change my bases once I get home. I also wanted to have products which will last me from spring to autumn. The same goes in a way for eye shadows, I rarely even get a dent in eye shadow pallets despite using them lots. I've had the Naked one Pallet for years and it looks like it's hardly been used despite using it all the time. May be if I notice I'm making head way into an eye shadow I'll include it in a future Pan challenge, I'm already planning the next one! That's very good idea! I always leave half use products and buy new ones! I am such waster!Well done to you !